"...as early as its eruption, a plenty bundle of strands of roots are already crawling their way to the ground to prepare for a long-term role in the future." For all the grasses that are growing in our environment, bamboo grass isn't like a grass. We even mistakenly call it Bamboo Tree because like any other tree, bamboo alone can already build a shelter. But now, let me show you how this spaghetti-liked structures perform its role in nature, specifically for bamboos. 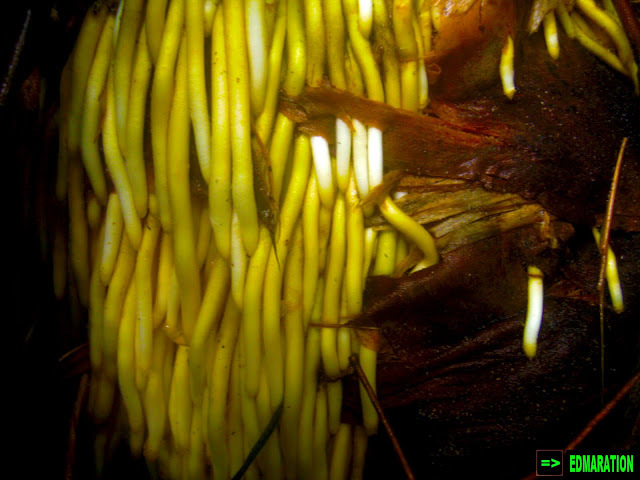 These structures are actually a root of the bamboo grass. As we all know, bamboo grasses are as high as a skyscraper and towers. They extend as high as hundred of feet up to the sky. And with this quality, bamboo tree really needs a strong foundation to keep itself standing amidst the wind. Aside from being flexible, bamboo grasses can not withstand the forces of nature by flexibility alone. They also need a very strong foundation. 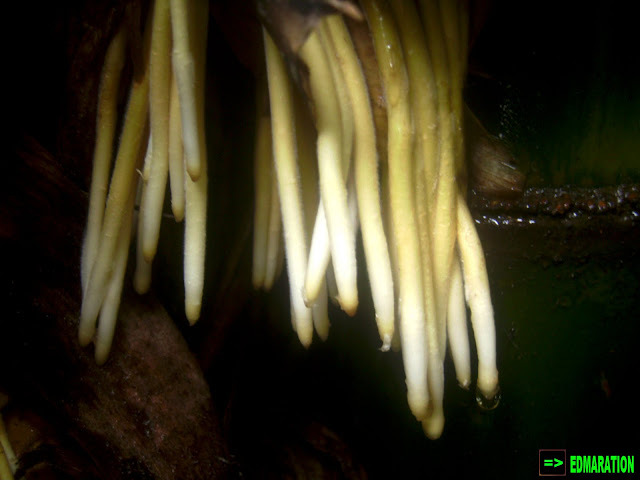 Now this is the role of this spaghetti-liked roots which appear in bundle when a new bamboo shoot appears. 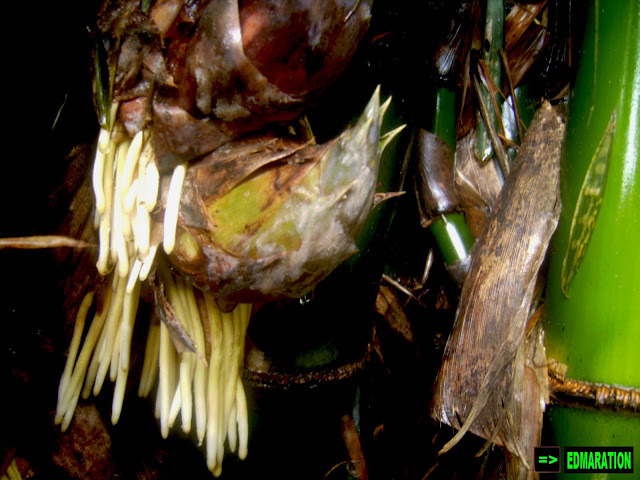 Because this bamboo shoot will turn to become a future giant, as early as its eruption, a plenty bundle of strands of roots are already crawling their way to the ground to prepare for a long-term role in the future. Now this bamboo shoot will surely become safe and secure for its future. Thanks for these spaghetti roots that has anticipated the demand in the near future.